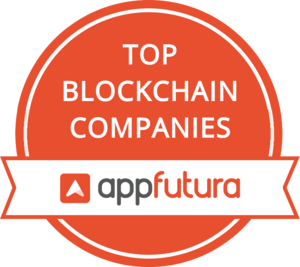 If you are looking for top Blockchain developers, AppFutura offers you a comprehensive list of the best Blockchain development companies around the world. Our experts can assist you in finding the best app development company for your Blockchain development needs. Browse through the Blockchain developers profiles and review their experience in this technology. Blockchain: Smart Contracts, DApps Development, Wallet Development, Cryptocurrency Development.? We offer blockchain tech to deliver decentralized systems or secure transactions. Blockchain in next-generation software applications is key to establishing the trust and confidence through security standards that are consistent. Blockchain is, without a doubt, one of the most disruptive technologies that have emerged in recent years. Blockchain is and will be key to understand decentralized electronic transactions that aren't regulated by an intermediary. From a simple in-app purchase to a cryptocurrency transfer or an encrypted message. In all these cases, Blockchain will change the way we currently understand security in our communications. Blockchain works as a big database for any kind of transaction in which each entry (the blocks) are linked and encrypted, increasing the security and privacy in transactions. This database system is extremely secure when being distributed and encrypted. In any Blockchain system, there must be 2 or more nodes with access to the database in order to be verified and have access to the data of any of the transactions. Essentially, there are three types or Blockchains: public, hybrid and private. Public Blockchains are those anyone can access through a connection to the Internet. Most famous examples would be those that hold Bitcoin or Ethereum cryptocurrencies. Hybrid Blockchains require participant nodes to be invited by other members. However, transactions in these are of public access. Some examples of hybrid Blockchains include BigchainDB or Evernyum, a hybrid blockchain to manage the Self Sovereign Identity. Finally, in Private Blockchains both nodes and transactions are private, so any access to them requires an invitation. Examples of this third type of Blockchain would be Hyperledger (from the Linux Foundation), R3 (used by a private banks conglomerate) or Ripple (a protocol to ease international money transfers).